The last few months have seen quite a slew of video game remasters released. We had remastered versions of the grand zombie adventure The Last of Us and of the controversial GTA V for PS4 and Xbox One. And developer Double Fine finally released the touched-up version of the classic Grim Fandango. Originally released in 1998, it was an adventure game not unlike recent Telltale series such as The Wolf Among Us, although the puzzles were more brain-teasing than today’s stuff. 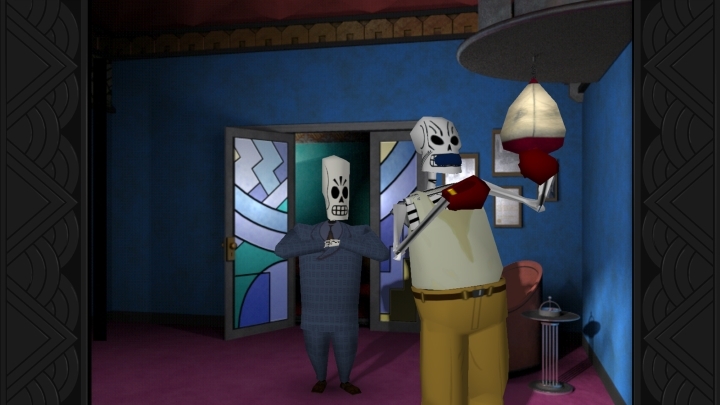 With its film-noir atmosphere and original story based on the Mexican Day of the Dead, there is no doubt that Grim Fandango was one of the great video games of the 90’s. But is there a point to releasing remastered editions of video games, even of classic games? If one thing is clear is that the video games industry is as profit-driven as any other, and after all, releasing a remastered edition of a game takes minimal work. It just involves giving the game a fresh coat of paint, retouching the graphics to make them look better on modern consoles or PCs, and perhaps re-recording the soundtrack (although I have to admit that Grim Fandango’s excellent jazz score is worth the asking price alone). And no matter how good the Grim Fandango remake turns out to be, it will mainly be bought and played by fans of the original game, who will end up forking out for a second copy of the game. Is it a symptom of decadence in the games industry, a lack of original ideas that is making developers these days churn out so many remasters? Or is it simply an easy way to fill their pockets? You could argue that remasters are even worse than sequels. Remasters rarely add anything new to the game but prettier graphics and perhaps improved controls. You are essentially paying for the same game twice. An alternative to a remaster, for instance, might be what a developer like Telltale is doing with the Game of Thrones adventure games. Instead of simply creating playable versions of the TV series episodes, they have created new tangential stories in this well-known fantasy world with familiar characters. And speaking of sequels, it is true that a series like FIFA sells like hot cakes, despite the game only offering incremental improvements each year. The Grim Fandango remaster is pretty good you know. Any hopes for a sequel? But still, sometimes it makes sense to release remasters of old video games. Grim Fandango was released way back in 1998, when the online distribution of video games was unheard of. And it’s pretty hard to get the game to run on modern PCs these days, but thanks to the remastered edition a new generation of gamers will be able to get it online (from Steam or the PlayStation store) and enjoy this classic adventure game, while veteran gamers (like me) will be able to relive fond memories. 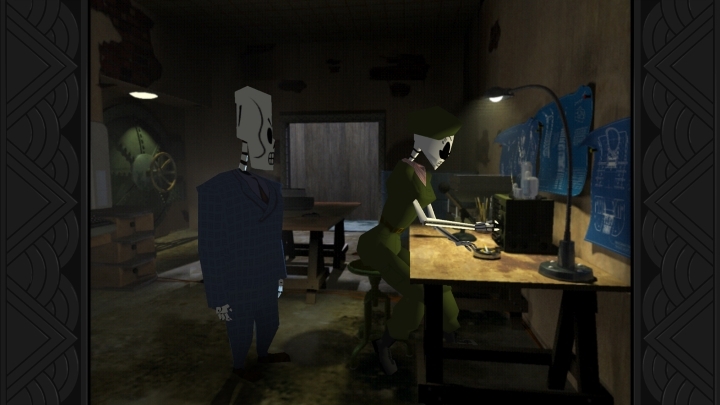 In the end though, it is a good thing that gamers can revisit golden oldies such as Grim Fandango with updated visuals. And while it would be great if game developers focused less on remastered editions of video games and more on original ideas, as long as the remasters do the original versions justice and offer something extra besides updated visuals, then enjoying a stroll down memory lane will surely be worth the price of admission.